Home / News / Buying Gold: What Are The Real Reasons Big Investors Choose The Metal? Buying Gold: What Are The Real Reasons Big Investors Choose The Metal? After a six year low in December 2016, gold prices have been rallying this year. They are now $1,266 per ounce, up from $1,062 on December 1. We’ve talked in recent weeks about the main factors driving prices such as a weaker US dollar, the elections in this country and Brexit. When there is volatility in the markets, gold is often turned to by investors as a way to hedge against losses. Investors also tend to back commodities such as gold when interest rates are lower because, they feel, there will be better returns. But yet gold, if buying or selling for the short-term, can be extremely risky. It’s why major investors such as George Soros (worth 25.2 billion USD – 2017), as indeed we have always said, advise that gold should make up no more than between 10% – 15% of an investment portfolio. But what lies behind major investors thinking of purchasing gold in the first place? Stan Verhoeven,co-lead portfolio manager, Multi Asset Factor Opportunities at NN Investment Partners. has opened up about why he backs the metal. He sums it up in one word: value. Last month, he increased his gold allocation – the metal is now the highest positioning of all commodities in his fund. “I believe that the change of our position on gold to overweight in one month is mostly because of the value,” said Verhoeven. At Gold Investments, we always advise clients to think of gold for the medium to the long-term, rather than short-term. This is something that Verhoeven does as well. What he is trying to do is benefit from incorrect valuations and buying undervalued assets. He then sells the overvalued assets. 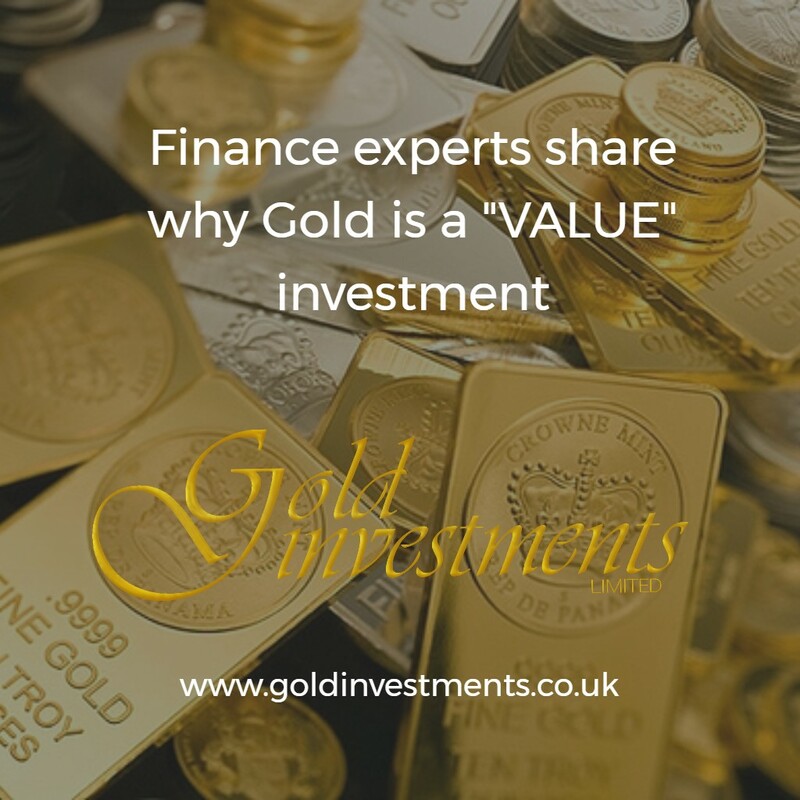 He adds that gold cannot be measured under fair value metrics like equities and currencies. This is because gold prices are determined by the balance of supply and market demand. He uses the five value factors to decide whether to invest to determine whether each resource, such as gold, is evenly priced. “We look at the average 50 day returns of the last five years, comparing them to the current levels. This idea is taken from the five-year universal strategy we apply when we look at equity valuations. If you apply the same strategy across assets classes, it works,” said Verhoeven. The key take away here is to not rush into buying and selling gold quickly. Do include gold in an investment portfolio but make sure it is no more than between 10-15%. We would be happy to pass on our experience – we are one of the oldest bullion dealers in the UK and are still family-run. You are also welcome to pop in for a coffee at our City offices (please arrange first).